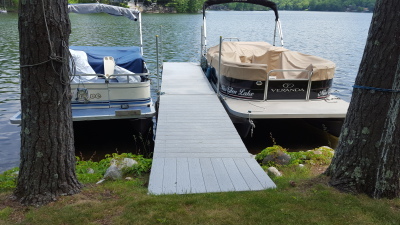 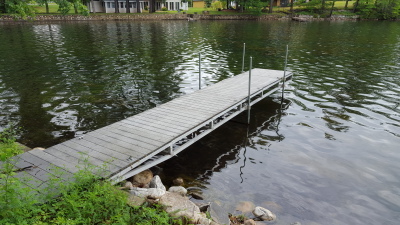 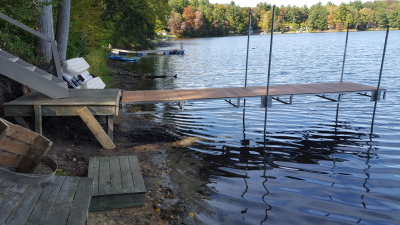 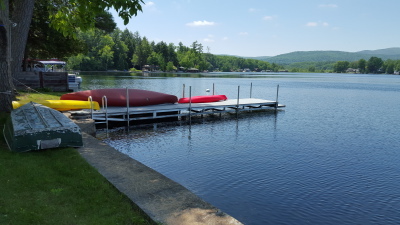 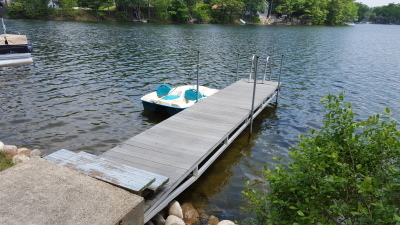 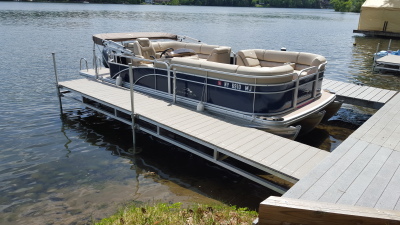 We design your dock projects to fit the existing lakefront to enhance your time here! 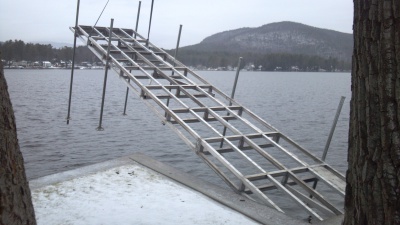 many options are available, and we love to here your ideas! 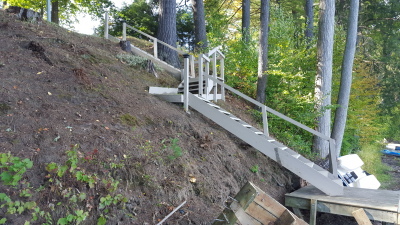 Ease of operation for customers to do, or us! 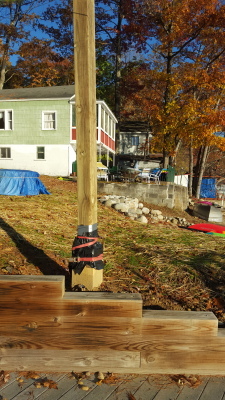 Steel pole with flag post! 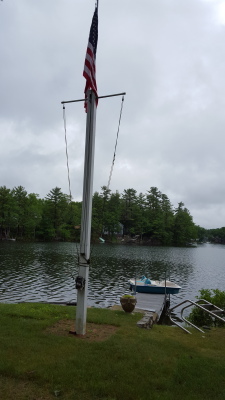 Flagpole with yardarm! 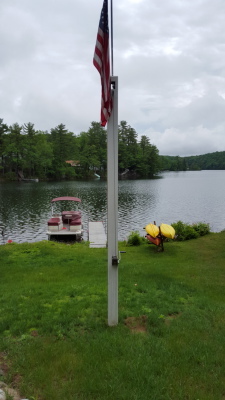 3 flags flying! 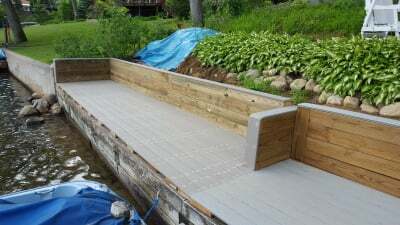 Decorative and functional! 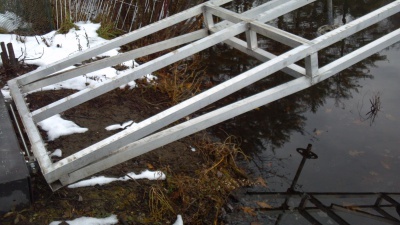 Our new removable post design! 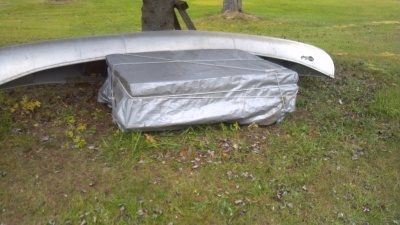 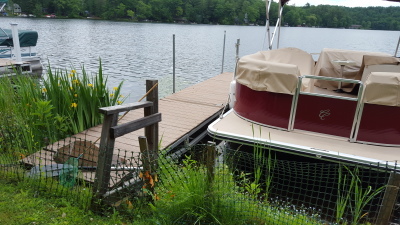 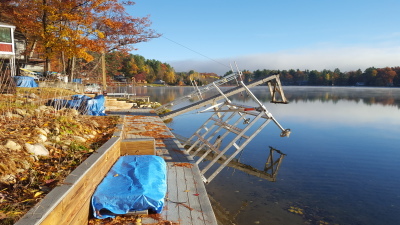 Typical winter storage for dock tops, simple! 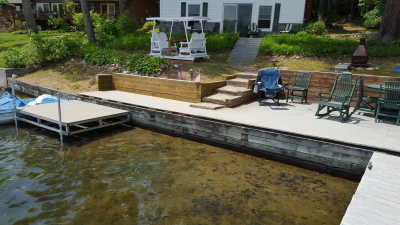 Installed for summer enjoyment! 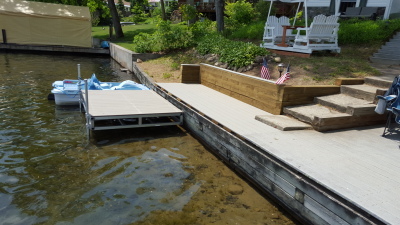 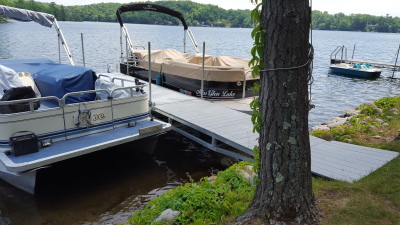 2' kayak deck on front of dock!